Are you thinking of improving your kitchen to give it a modern design? Or do you have an upcoming occasion which obliges concentration on your home interior appearance? The greatest efforts should be capitalized in the kitchen cabinets. Kitchen cabinets are the pillars of the kitchen. They enhance a kitchen’s interior if properly selected. In selecting kitchen cabinets, an open-minded perspective helps in getting cabinets with distinctive and attractive designs. The following are 8 issues of consideration when choosing kitchen cabinets. 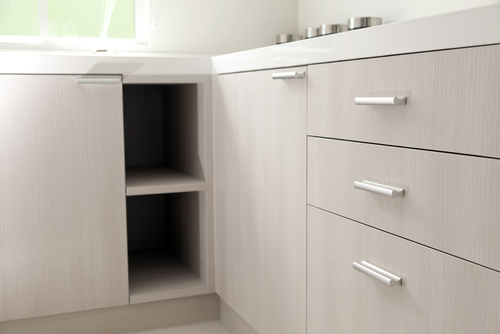 Kitchen cabinets can be classified into either stock, custom or semi-custom. It is up to a person to choose the kitchen cabinets that largely harmonize the kitchen where they will be mounted. The type chosen is also dictated by a person’s tastes and the finances available. These are ready made cabinets produced on a large scale. They come in many sizes and colors giving individuals the opportunity to make a selection based on personal needs. Persons who wish to have cabinets quickly fixed in their kitchens can select these types. It is also cheaper to fix them. Different individuals are unique. A stock kitchen cabinet may woo some individuals and totally put off others. Hence custom kitchen cabinets help in satisfying the unique needs of diverse individuals. These cabinets are made according to a person’s specifications. If a person wants a cabinet with several drawer pulls, it will be made in that manner. A lot of time and labor is needed to make them. They are therefore sold at a very high price. Though they are expensive, a person gets the exact cabinet that meets the aimed expectations. These cabinets are partly stock and partly custom. They are made while mixing stock and custom qualities. An individual is able to purchase a cabinet that is close to custom without incurring the expensive cost of an exclusively custom cabinet. The kitchen cabinets chosen have to go hand in hand with the present interior décor of both the kitchen and home. Classic antique homes function well with classic style cabinets. A modern-day kitchen is complemented by modern style cabinets. Kitchen interior should not be the only determinant used to choose the door style of the kitchen cabinet. The general home interior has to be reflected. This is to ensure the kitchen and the rest of the rooms display uniformity in the home’s interior design. A person’s view of the door style matters too. Nobody wants a kitchen cabinet with a style that he or she dislikes. Door styles that are popular are: modern, traditional or a blend of both. The finish plays a huge part in complementing or undermining the kitchen interior and the entire home interior. It has to be given the significance it deserves. For those who are inspired by finished kitchen cabinets, it is essential to have enthusiasm when looking for them. Going to a kitchen cabinet store helps little in getting kitchen cabinets with the right finish. This is because a person might get carried away by the multiple kitchen cabinets on display. The best decision is to first get enough information related to available finishing alternatives. These include embellished finishes such as glazing and crackle. When fully aware of the finishing you want for your kitchen cabinets, it becomes comfortable to make a worthwhile decision. Every person would want to buy kitchen cabinets with quality finishes and designs with little regard for the price. But you have to be reasonable when making a purchase. It is unrealistic to buy expensive cabinets at the expense of other important requirements. A reasonable budget has to be drafted to act as a guide when buying kitchen cabinets. 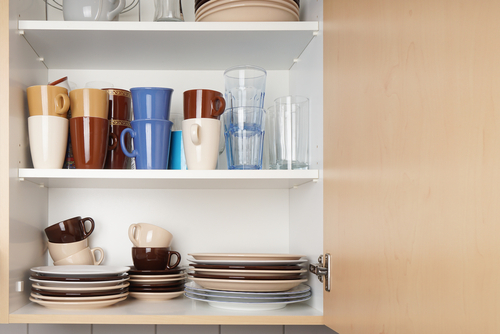 It is always wise to purchase a kitchen cabinet that does not deplete your financial resources. Buying a kitchen cabinet that is a little inexpensive does not mean that it is of low standards. There are different types of kitchen cabinets that are very quality at fairly cheap prices. Is it important for a kitchen cabinet to be fitted out with hardware? The hardware can be treated with little importance but it matters. The hardware that comes with the kitchen cabinet defines its overall appearance and simplicity in accessing it. Hardware to look out for includes: knobs and drawer pulls. The period of time one intends to stay in a home governs the price of kitchen cabinets and the type selected. A realtor’s objective may be to renovate a home to motivate probable home buyers to invest in. 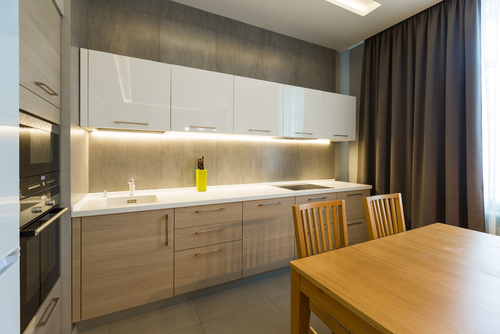 To limit costs of buying kitchen cabinets, the level of customization can be minimized. Stock and semi-custom cabinets can be a good and cost effective selection when selling a home. For a homeowner who purposes to stay in a home for long, focusing on high end kitchen cabinets is better than low quality ones. The kitchen cabinets bought should be those constructed using durable materials. 8. What puts you off with respect to your current kitchen cabinets? Possibly you already own a home and the aim is to give the kitchen a modern look by getting new cabinets. There are mistakes you might have committed in buying the current kitchen cabinets. The mistakes can be: inadequate storage space, poor utilization of kitchen space, wrong choice of style and cabinets without the right hardware. Understanding the specific mistakes can help in coming up with better decisions. If a traditional door style was chosen previously yet it does not flow with the style of the home, this mistake can be rectified. This is achieved when a class door style that augurs well with interior décor is chosen. In conclusion, selecting kitchen cabinets has to be accompanied by real planning. As you think of the kitchen cabinets you want to have in your kitchen, think through all the considerations discussed in this article. The considerations will help you in getting quality and long-lasting kitchen cabinets.